Runaway Bridal Planner: Can you guess right? This week for Travel Tuesday I am going to do something a little different. I have a $10 Amazon gift card for the first person who can correctly guess where this picture was taken. However, if no one guesses and one person can guess the correct state it was taken in, I will give that person a $5 Amazon gift card. All my comments are timed so it will be easy to tell who guessed right first. There can only be 1 winner so start guessing NOW, I will accept entries until Midnight tonight. And yes, if you think you have guessed wrong, and want to guess again feel free! There is no limit on how many guesses, however each guess will have to be its own comment to keep it fair. HINT: The only hint I will give is, yes it is a state I have run a marathon in. But no it is not a place that I have showcased on a Travel Tuesday post before. Thank you to everyone who took a minute and guessed! I had two of you who pretty much responded at the exact same time and both of your answers were correct. So to be fair I am going to declare you both winners, and you should both have received an email from me by now regarding this. 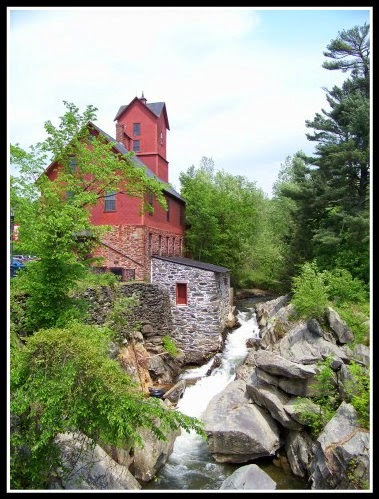 The location is THE OLD RED MILL in Jericho, Vermont. This is a fun little place to visit if you are ever in the area. There is even a small museum inside and gift shop. If it interests you, visit their website HERE to learn more and to get directions.